His appointment is the latest step in Markets’ FX transformation following the hire of several FX talents earlier this year. BNY Mellon has secured the services of FX industry veteran Harry Moumdjian who was appointed as the global head of FX sales at BNY Mellon Markets, Finance Magnates has learned. Mr. Moumdjian has been a mainstay in the industry for nearly 20 years, working at fixed income, currencies and commodities desks of several top-tier banks including Citibank and Nordea Markets (Formerly Christiania Bank), based mostly in New York. 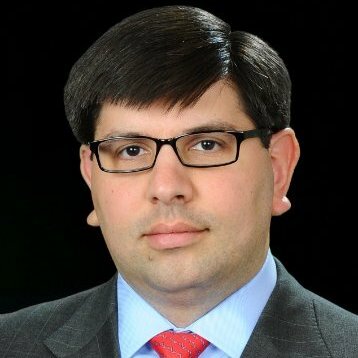 He joins BNY Mellon Markets from Morgan Stanley, ending an eight-year tenure, where he most recently served as head of the firm’s DeltaFX and e-FX sales functions. Harry also held a variety of FX sales and trading roles at the Wall Street bank. BNY Mellon Markets said that Moumdjian’s leadership and skills would be key to enhancing its FX offering to global clients and reviewing its currency product suite as they continue to build out a full-service FX platform. He will also be tasked with unifying the company’s FX sales teams globally under one leader. In his new role, Harry will also be based in New York and will report to Adam Vos, Global Head of FX at BNY Mellon. He steps into his position with immediate effect. During his two-decade career in global financial markets, Harry also worked at Goldman Sachs, Bank of America and National Bank of Kuwait. Earlier this month, the Wall Street bank said named Matthew Berson as head of its FX prime brokerage business which serves a client segment that includes ‎banks, hedge funds, and other buy-side institutions in the $5tn a day global currency market.